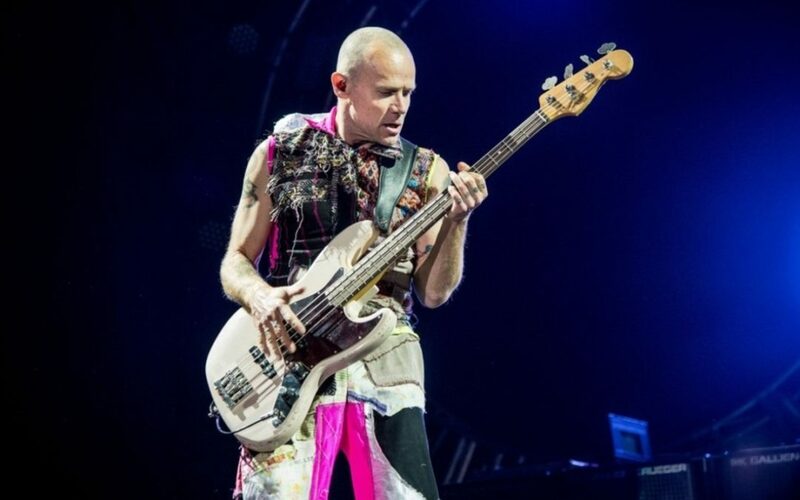 Flea (Michael Balzary) is the one of the most influential bassists, not just for young bass players, which is mostly due to his thumb bass playing technique. He is also one of the most colorful characters in the global music industry. 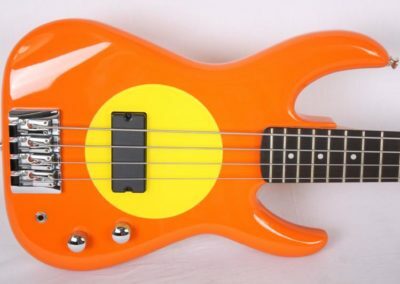 This musician, who uses and abuses his funk/punk bass lines in the legendary rock band Red Hot Chili Peppers, is releasing his autobiography titled“Acid for the children” later this month. “I love literature deeply. I view books as sacred things, and in writing my story, I’m going to do my best to honor the form that has played such a huge part in shaping who I am.” – says the man himself. “Acid for the children” will be released on September 25th. 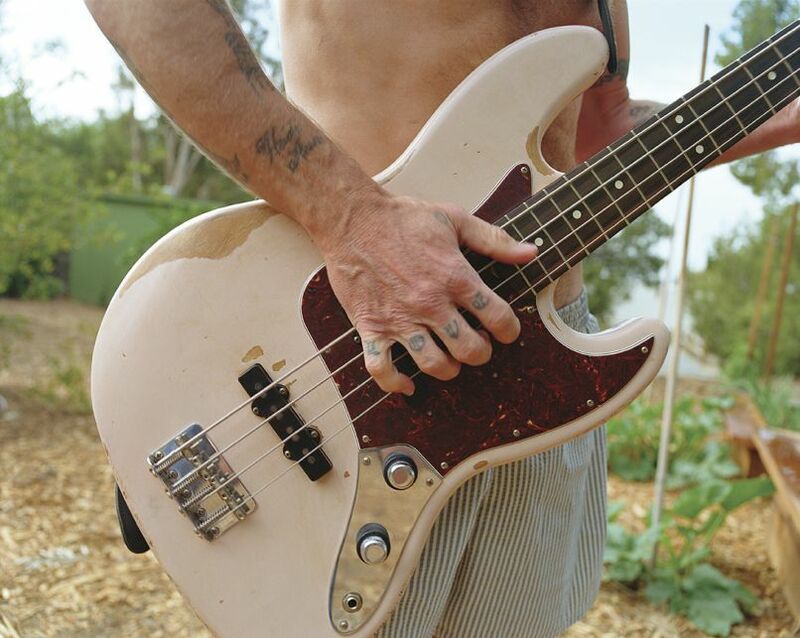 For years, Flea has played mainly Fender, Modulus, Music Man Stingray and some more basses. In 2009, he gave the world his own creation called Fleabass. Those budget-level basses are more recognizable than other common bass guitars due to their finish, which is highly colorful, 20 frets on the fretboard, and the fact that their parts are 50 per cent from Music Man and Fender. The humbucker and scratch plate imitate Music Man’s but the electronics are like reminiscent of Fender Volume – Tone. 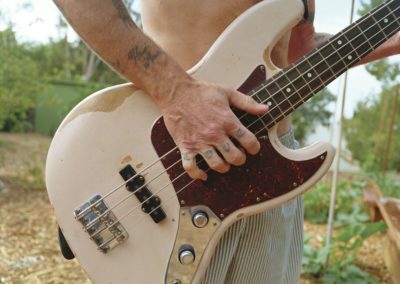 The photos below depict Flea‘s Fender Signature Model and Fleabass.